I just recently Activated my card and I needed to call customer service for a quick question and they end up transferring me to the fraud department because I didn’t have a cell number to match their database or some crap, Now my card is blocked and can’t I even begin to use it until I can provide them with a landline phone number it’s 2019 who has a landline phone nower Days smh, now I have to wait for a letter that may take weeks to get here. I provided my birthday, Social Security, the correct address, and security word so why are they giving me a hard time? I’m a new user using my own money for a “secured card”. I feel like this phone number crap should be taken care of during the application process so there won’t be any surprises! Don’t waste your time... seriously! The experience I had trying to get this was was completely terrible! On the same day I applied for this card, I also applied for a capital one card... by the time I FINALLY received this Citi card, I’d already completely TWO payment cycles with my capital one card. Through out that whole time I spent battles with rude customer service ppl over the phone, and kept getting the run around about when I was going to finally get my card, even though they already had my deposit. They sent me a welcome letter without the card, then sent another one a week later via special mail again with NO card. When I asked why, they said “it was so that I can make sure I still want the card”... ridiculous! Then the card was sent special mail requiring a signature, and without my knowledge while I was out of town. No notice, no tracking, nothing! By the time I got back the card was already sent back to the bank. They don’t care about you or your money... and their behavior and customer service shows just that! I had purchased a gift for my son and it arived a month later with a hole on it the seller never contacted me for a return i called they never called back customer service from citi said they couldn't give me a refund because I had the item how can you return an item when the seller never communicated with me since citi doesn't protect the card holder i i decided to cancel my card and they ruined my credit because of a problem that wasn't my fault. I truly recommend capital one they protect there customers. Was this an eBay or Amazon purchase? They didn’t ruin your credit, YOU closed your card. That’s on you. Don’t blame a company because you had a temper tantrum and closed your account because you got an answer you didn’t like. If you made a purchase and that purchase didn’t work out, then you closed the account and possibly didn’t pay the bill, that’s not Citis fault! Very easy to pay your balance with the app. Got this card with scores in low 500 and I’m grateful to rebuild, but you will never get an increase. I pay this off monthly in full, yes they report, last month twice, right before due date and right after, making my usage greater than 30%. And for whatever reason be it ck or Citi, no reporting to Equifax ever! If this happened with anyone else please let me know. yes it happened to me too! Got this card in October and they stopped reporting my on-time payments all of 2019! I decided to file a dispute with on credit karma for missing payment information last month and within a week they resolved it for me. They posted my on time payments and I got a 14 point increase because of having this info now on my credit report. I would do the same, its pretty simple to do. Thank you I will do it! I don't know if I should be surprise or what. 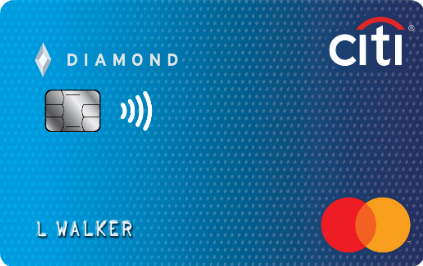 I chose this card to help my credit boost up and it's my first month my credit went down 19 points I only have citicard for 2 weeks now, as per creditkarma when u open new card it usually goes down? And I was like wth..
That’s very typical. It will go up as you pay on time every month! Citibank does not deserve even 1 star! They instigated demise of my credit starting with tough recessionary times and against all new credit laws, they doubled my interest rate w no notice, retroactive on thousands of dollars (also illegal) claiming some promo rate. never did it show that a promo rate or thatbit was temporary. I wastotally up to daye, but just surviving! I asked numerous times for investigation or adjustment and they refused, so therefore I couldn't pay the new payment amount and that was the beginning of my credit tumbling... I hate Citibank! Im much better now, but credit still damaged... its been 8 hard years! No thks to citibank! Application process was easy. It was fast. I applied online. Received my approval in three dates. Had my card a week later. Haven't used it yet. But so far, so good.